Whilst it's often the case a producer/writer will go appreciated yet mostly unnoticed in the background, they will on occasion step out from the shadows with groundbreaking results. Having worked with countless names and artists in his time, Dan D'Lion is set to make that very cross over in to the public domain with his stunning debut Give What You Take. Accompanied by a rather stylish choreographed video, the new single is smooth to touch. It's a dazzling pop effort with a mixture of stylistics thrown in for good measure. 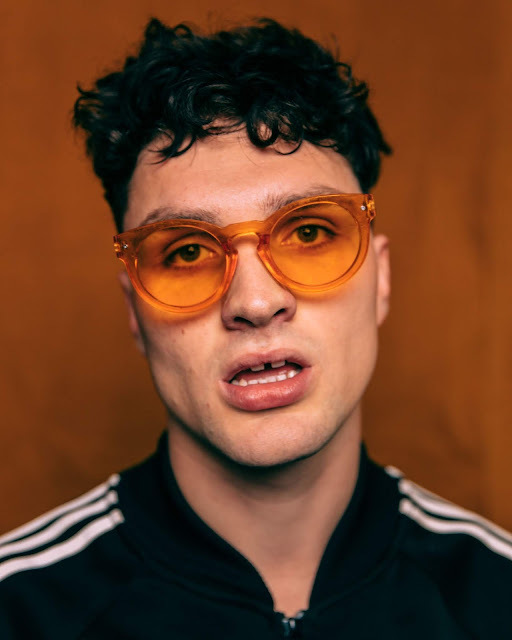 Think RnB soul with a generous helping of off-kiltered melodies and futuristic charm and you'd be somewhat on your way to describing his sound. It's clear to see where his inspiration through Jamiroquai, Tame Impala and N.E.R.D comes from. "This was the first track I wrote for myself where everything started to make sense" he explains. "As it all came together it felt like a real turning point, and the lyrics actually ended up becoming motivational to myself in a way, taking away the daunting aspect of crafting something for myself." Take a listen/watch for yourselves below.